"Throughout our partnership, I’ve had a blast appearing in digital video and television spots for Mobil 1"
LAS VEGAS--(BUSINESS WIRE)--With the 2016 NASCAR® Sprint Cup season serving as Tony Stewart’s last as a professional stock car driver, Mobil 1™, the Official Motor Oil of NASCAR, is helping the three-time series champ humorously explore post-NASCAR racing hobbies with the release of the “Tony’s Next Chapter” digital video series. In the four vignettes, Stewart, driver of the No. 14 Mobil 1 Chevrolet and co-owner of Stewart- Haas Racing, is joined by teammates Kevin Harvick, driver of the No. 4 Jimmy John’s Chevrolet, and Danica Patrick, driver of the No. 10 Nature’s Bakery Chevrolet. “Tony’s Meat Smoker” – Tony enlightens friend and teammate Harvick about one of his newfound passions along the path to retirement. “Tony Learns French” – Tony exercises his linguistic skills, becoming “fluent” in French. Très excitant! “Tony Picks Up Painting” – Tony paints a portrait of Harvick. “Tony Becomes a Cheese Connoisseur” – Tony stays busy in retirement by becoming a cheese connoisseur. The “Tony’s Next Chapter” videos will be featured on the Mobil 1 and SHR Facebook pages and Twitter along with being featured on the Mobil 1 YouTube channel. Fans can also look for behind-the-scenes content on Mobil 1 Facebook, Twitter and YouTube channel. “Tony’s Next Chapter” is the first of a variety of digital video content series Mobil 1 will roll out throughout the 2016 NASCAR Sprint Cup season – showcasing the brand’s role with Stewart, Harvick and Patrick. A late spring and summer series will feature Stewart alongside Harvick and Patrick on America’s highways in a series of comical situations, as they roadtrip together to Sprint Cup races. 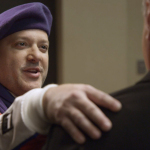 Concurrently, they’ll be featured in quick-hit videos in which the drivers are asked for their opinions on topics such as food, driving styles and hobbies. Along with its status as the Official Lubricant Technology Partner and Official Motor Oil of NASCAR, Mobil 1 enjoys a long association with many of world's most popular and successful race teams, including Stewart-Haas Racing in NASCAR’s Sprint Cup Series, McLaren Honda Formula One team, Corvette Racing’s WeatherTech SportsCar Championship team, Tony Stewart Racing’s World of Outlaws Craftsman Sprint Car Series team. 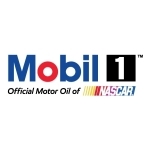 Mobil 1 also serves as the title sponsor of the Porsche Mobil 1 Supercup and the Official Technology Partner of the World of Outlaws Sprint Car Series. Stewart-Haas Racing is the title-winning NASCAR Sprint Cup Series team co-owned by three-time Sprint Cup champion Tony Stewart and Gene Haas, founder of Haas Automation – the largest CNC machine tool builder in North America. The team fields four entries in the elite Sprint Cup Series – the No. 14 Mobil 1 Chevrolet for Stewart, the No. 10 Nature’s Bakery Chevrolet for Danica Patrick, the No. 4 Jimmy John’s Chevrolet for Kevin Harvick and the No. 41 Haas Automation/Monster Energy Chevrolet for Kurt Busch. Based in Kannapolis, North Carolina, Stewart-Haas Racing operates out of a 140,000-square-foot facility with approximately 280 employees. For more information, please visit us on the Web at www.StewartHaasRacing.com, on Facebook at www.Facebook.com/StewartHaasRacing, on Twitter @StewartHaasRcng and on Instagram @StewartHaasRacing.